How Long Does a Universal Joint (U-Joint) Last? For most rear wheel drive cars, a driveshaft is needed to ensure that the tires turn as they should. The driveshaft works by taking the power from the transmission and transferring it to the wheels of the vehicle. In order for the driveshaft to stay in place, the U-joint will have to be working properly. 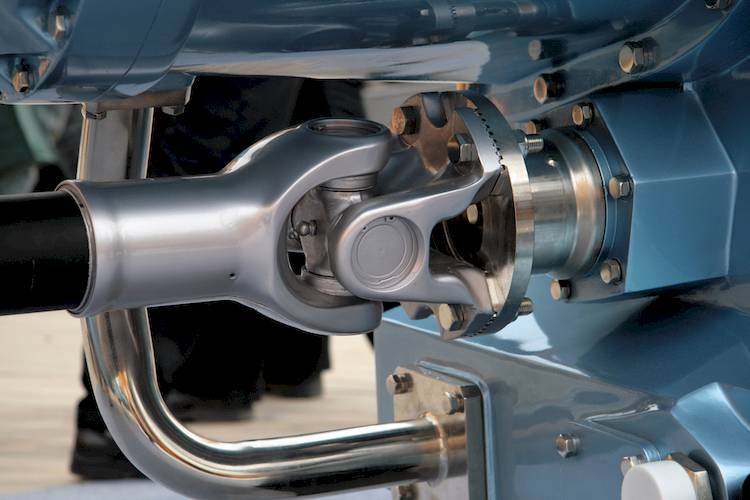 The U-joint is filled with lubricant that helps it to turn with the driveshaft without locking up. Each time that you drive your car, the driveshaft and U-joint will have to do the job that they are intended for in order for the car to work properly. The U-joints on a vehicle should last the life of the car or truck, but this is not always the case. There are a number of repair issues that can arise that can render the U-joints on your vehicle unusable. Usually, you will be able to tell when this part of your car goes out due to the issues it will cause. If the U-joints on your car are not working properly, it can lead to the driveshaft not spinning. Without a fully functional driveshaft, you will not be able to drive the vehicle. If the universal joints on your car need to be replaced, it is best to replace them in pairs in order to avoid further issues down the road. The more you are able to perform this type of preventative repair, the easier you will find it to keep your car running as intended. Replacing the universal joints on a vehicle is not easy, which is why it will require a professional touch. Attempting to do this without professional supervision will usually lead to even more damage being done. By taking these signs seriously and getting the issues with the U-joints fixed, you will be able to avoid any further damage to your vehicle. Letting professionals replace the broken universal joint is the best way to avoid making matters worse. Q: Bad u-joint making noise.